At Heart Journey, our goal is to empower you to use what you learn on the mat and bring it into your life. Learn to live your life in harmony and alignment with your true self, the essence of authentic yoga. The practice of yoga has the power to engage you totally, and provides an entry point into experiencing unity of mind, body, heart, and soul. The classes we offer are in various styles and levels of intensity, and each instructor teaches in her/his own unique way. No two classes are alike, and we strive to make your yoga practice interesting, uplifting and inspiring. Come and join us! Feel empowered, feel balanced, feel good in your body and with yourself! Yoga changes lives. Amrit: A meditative and inward practice focused on breath, alignment, energetic sensations and the experiencing of your True Self. Hatha: A more traditional way of practicing yoga, with posture holds of various lengths, and a focus on breath and physical alignment. Kundalini: Dynamic combination of breath, mantra, and movement to build inner strength and stamina. Kripalu: A practice based on self-inquiry, compassion, and adapting the poses to your body's ability while working at your edge. Flow/Vinyasa: Flowing from pose to pose in coordination with the breath to increase flexibility, range of motion, and strength. Power: Strengthening poses, mostly for the upper body, core, arms and legs, with longer holds and flowing sequences. Restorative: Deeply relaxing and stretchy poses done with props during which you can surrender and let go. Sivananda: A classical hatha practice that focuses on breathing techniques and a set of 12 standard postures. Therapeutic: Poses held longer with the use of props or teacher assists that target bodily sensations and the release of energy blocks. Yin: A stilling and cooling practice aimed on the deep stretching of connective tissues and joints. Yoga Nidra: A deeply relaxing and transformational practice that takes you into alpha/theta brainwaves. Practice yoga in a way that completely honours your body, and bring peace, balance, and harmony to your mind, body, heart, and soul. We will explore various styles of gentle yoga, including comfortable hatha stretches, yoga therapy, restorative postures, Yoga Nidra and meditation. Other styles explored may include Yin, Slow Flow, and whatever inspires the teacher at the time! Every week, the class is different, the only constant is that the practice is gentle. This class addresses various needs and is particularly suitable for: beginners; people who have been away from yoga for a while; people with various injuries; seniors. Low intensity. This class marries the traditional hold of hatha postures with fulfilling flows that allow our energies to awaken! The practice of yoga is one that invites a deeper connection to ourselves, as the body gets stretched and the mind quiets down. What we experience and learn on our mat serves as an anchor when life challenges us. This class offers themes that help open us to our inner resources, allowing our own yogic experiences to become beacons of light that show us the way. Through this practice, we open up to our inner experiences, creating greater emotional stability, and bringing more stillness to our busy minds. We shift easily into a state of peace, harmony, and balance, which can be carried into our day. This is the gift that yoga brings to us. Beginners are most welcome! Low to medium intensity. This classical hatha yoga class include breathing exercises, sun salutation, preparatory exercises as well as a variety of the 12 basic asanas. Variations of asanas and the inclusion of poses from other lineages ensure a good balance of structure and variety. Students are guided into postures slowly and invited to hold them for varying lengths of time, making it suitable for students of all levels. An inward focus is encouraged to allow students to acknowledge how they feel in the postures and to work toward releasing any areas of tension. Classes open and conclude with a short chant, and include a guided relaxation. Low to Medium Intensity. Enter the “zero-stress zone” with yoga nidra. Also called "integrative relaxation", yoga nidra literally translates as "yogic sleep". While lying down, the student is guided into deep levels of relaxation through breathing and focusing techniques, imagery and meditation. As the brainwaves shift into alpha and theta states, students work with intention to implant seed information at the deepest levels of their mind to create lasting transformation. Themes explored generally revolve around personal growth, healing, and/or relaxation. Benefits include stress reduction/elimination, improved sleep, and a more generalized "zen" attitude. This class starts with 25 minutes of gentle yoga, and is followed by yoga nidra. This is truly the easiest yoga of all. No experience necessary. A great class to let go of your busy week and to get ready for a fantastic weekend! This class is mostly a structured hatha practice, with some elements of flow for increased flexibility and mobility. There may be at times, short periods of unstructured exploratory practice to allow the body to fully reset and release its kinks. This is a great class for those seeking a more structured practice, while allowing moments of freedom of expression as an introduction to Amrit Yoga's Meditation-in-Motion. All levels of yoga experience are welcome. Please note that only a number of these classes are scheduled monthly. Experience your yoga practice in a completely new way each time you step on your mat, and connect with deeper aspects of yourself. Using inward focus and meditative awareness, we identify our edge (re. our physical discomfort), and invite it to guide our practice in unscripted ways to help release blockages. We develop the ability to get out of our way, and gradually allow the life-force energy or prana to take over our practice. This process leads to personal transformation and to the dismantling of our reactive patterns and limitations. We become established within the abiding Presence that we truly are. Tools used during class include conscious feeling, micromovements, complementary poses, and prana kriyas. In this class, there is an emphasis on learning to "listen" to our body, so that we can follow its innate guidance. This class is designed to help you master a set of traditional hatha yoga poses as you learn to disengage from your mind, and drop into your felt experience. Using breath, alignment, inward focus, meditative awareness, and energetic press points as anchors, you will experience the interplay of "making the pose happen" and "letting it happen". Becoming more established in this type of practice, you will awaken to the presence of energy (prana) within yourself, and experience a deeper connection with your True Self. Low to Medium intensity. This class will begin with a series of gentle hatha yoga poses designed to help you stretch and release the kinks in your body, and prepare you for relaxation. The greater portion of the class will be restorative. Restorative yoga poses are done with various props to support you in releasing deeply, so that your muscles can surrender to gravity, and your nervous system can finally let go. You will experience greater emotional and mental well-being, and feel more connected to yourself. This is a great healing practice. Low intensity. Reap the benefits of a well-rounded practice as you stretch and strengthen key body areas such as the upper body, arms, legs, back, and core. Each student will work at the level that he/she is comfortable at by holding the poses and doing posture variations that are right for their body. Learn to manage your "edges" while maintaining proper alignment. Perfect class to expand on your regular practice. This healing class aims to help us release the trapped energies that underlie our physical discomfort, emotional issues, and mental stress, and help us open up to new possibilities. 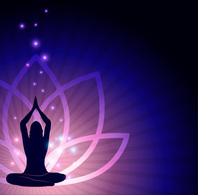 We will breathe deeply and relax into our body's holdings as we practice various hatha poses, use affirmations, breathing techniques, hand mudras and/or acupressure points to stimulate energetic releases so that we may return to a state of balance. We will end with a healing meditation which will include guided and unguided components. Low to medium intensity. Kripalu Yoga is a comprehensive and compassionate approach to self-study that uses yoga poses, breathing, deep relaxation, and meditation as its primary tools for promoting physical health, calming the mind, opening the heart, and developing deeper levels of self-awareness. The method is inquiry based, and is prompted by questions such as: What am I feeling right now? What is my body asking for? How might I create more space and ease in the pose? What is my heart saying? Where is my mind's attention? Participants are guided to pay close attention to the internal urges, sensations, thoughts, and emotions flowing through them throughout the class. The practice begins and ends with acceptance, and a willingness to acknowledge and embrace all parts of the self in the light of consciousness. Kripalu Yoga originated with Yogi Amrit Desai, and is the precursor to Amrit Yoga. This class will uplift and energize you! Kundalini Yoga, the Yoga of Awareness, dynamically combines breath, movement, and mantra to help build inner strength, and balance your endocrine and nervous systems. Increase your resilience when confronted with life’s daily stresses, increase your inner stamina. Each class will incorporate specific kundalini kriyas (series of poses) that address common physical, emotional/mental or spiritual needs based on the teachings of Yogi Bhajan, as well as kundalini yoga style meditation; mantras are always part of the experience, whether they are repeated internally or through chanting. Various hatha yoga poses may be included here and there to assist during the transitions and to invite integration. Medium Intensity. This class will leave you feeling energized and uplifted! With Vinyasa yoga, you will flow smoothly from one pose to another for greater flexibility and ease of movement. With Kundalini Yoga, the Yoga of Awareness, you will dynamically combine breath, movement, and mantra to help build inner strength, balance, and resilience in your life. Each class will incorporate graceful and inspiring vinyasa flows and specific kundalini kriyas (series of poses) that address common physical, emotional/mental or spiritual needs. The emphasis will be on making this practice work for your own body by going at your preferred pace during the kriyas, whether it's slow, moderate or intense, it's up to you! Through this practice, your inner energy will get activated, this is where the magic resides! Low-Medium-High Intensity, make it your own! Get the balance, strength, and flexibility you need to create more focus and determination in your life! Build your stamina as you strengthen your core/back, upper body and limbs through power flows and various posture holds. Increase your flexibility as you stretch deeply and engage in creative sun salutations. Your joints will benefit, and you will gain a sense of confidence in yourself and what you can accomplish in life. Medium to High Intensity. Learn various breathing techniques and explore the foundational teachings of a sound hatha and vinyasa/flow practice. Fine tune each pose's alignment, remaining present with breath through posture holds of various lengths, and learn to effectively combine breath and movement together during the slower flows. Great class for both beginners and experienced yogis who want to gain more awareness of alignment cues in their body, and expand their pranayama practice. Low to Medium Intensity. This class is designed to help you relax deeply through restorative yoga poses done with various props. Such poses aim to release your muscles and your nervous system, as well as balance your endocrine glands. You will experience greater emotional and mental well-being, and feel more connected to yourself. As you hold each pose, if you are interested in it, the instructor will give you Reiki, a deeply relaxing and healing Japanese system designed to restore balance and wellness. Please click here for more information about Reiki. Low Intensity. This is a fun class in which a story is told at the beginning, and then enacted/embodied through our yoga practice! The styles used combine flow and hatha. Each story has a message that can be pondered and contemplated, and it just may be what you needed to hear that day. This class is the closest thing to bringing theatre and yoga together! Low to Medium Intensity. This is a beautiful class that combines breath and movement together, inviting ease and flow into our life! It brings a variety of asanas onto the mat, allowing you to deepen your practice by developing greater balance, strength and flexibility. This class will help to spark the inner light in each and everyone of us, allowing ourselves to walk through life with grace, confidence and presence. Low to Medium Intensity. Connect deeply with yourself, and work with the parts of your body that don't usually get much stretch such as the connective tissues, ligaments, bones, and joints, to bring more flexibility and ease in your body. Yin yoga poses are typically easy, and held longer than regular hatha yoga poses, allowing you to go deeper and release physical blockages in the tissues, and also at the emotional, mental, and spiritual levels. Combine all of this with the relaxing impact of Restorative Yoga, as we include bosters, blocks, and blankets and surrender even more fully into the poses. This class will stretch and restore you, while your bodymind releases deeply held patterns. Low Intensity. Yin Yoga is a more passive, cooling, inwardly focused practice that targets the connective tissues, such as the ligaments, bones, and even the joints of the body that normally are not exercised very much in a more active style of asana practice. Suitable for all levels of students, Yin Yoga is a perfect complement to the dynamic and muscular (yang) styles of yoga that emphasize internal heat, and the lengthening and contracting of our muscles. Yin Yoga generally targets the connective tissues of the hips, pelvis, and lower spine. Poses are held for longer periods of time with the intention to relax and let go into the stretch. There is a gentle focus on breath and bodily sensations, making it also a calming meditative practice. Low to Medium Intensity. This class begins with the experiencing of the cooling, passive polarity that is Yin Yoga, as we target hard-to-stretch connective tissues, such as the ligaments, bones, and joints of the body. Gradually, we shift into a more muscular, heated Yang practice, as we combine breath and movement together through various flows and posture holds that build on one another. Eventually, we settle back into relaxing poses to help integrate our whole practice, allowing the polarities within us to return to a state of harmony and balance. This is a great practice to bring greater harmony within yourself, especially if you have been struggling with making a decision, resolving inner conflict, or if you feel pulled in many directions. Low to Medium intensity. The back and hips are areas that easily get tight and stiff, it is therefore important to stretch them regularly. In this class, you will practice and learn a variety of yogic poses that you will be able to do at home to maintain flexibility, strength and range of motion in those key areas of the body. They say that the more flexible our spine and hips are, the younger at heart we feel! The class will also include asanas that address other body areas, for the sake of having a more balanced practice. Low intensity. This class is based on the teachings of I AM Yoga Therapy - The Integrative Amrit Method of Body Psychology. Using various props, practice poses that may have similarities to the ones done during a restorative class. The important difference is that you will remain fully present and engaged in deeply experiencing what is happening in your body, under the guidance of the teacher's specific instructions. In practicing in this way, the frozen energy underlying areas of tightness, pain, and discomfort in your body will start to release itself gradually, creating more space and relaxation in your mind, body, and heart. For more information about this style of Yoga Therapy, please click here. Low to Medium Intensity.